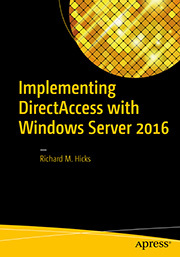 Provisioning DirectAccess Clients using Windows Offline Domain Join | Richard M. Hicks Consulting, Inc. This is really interesting. I wonder if something similar might be able to help DirectAccess client provisioning? An example being an office where the client computers are being added to the security group that is applying the GPO, the computers are getting the GP if you check GPResult, but they are not getting the DirectAccess settings applied. Hi Simon! You can definitely use offline domain join to provision DirectAccess clients. That is the title of the article, after all. 😉 If you have remote clients joined to a domain and they aren’t getting group policy settings, ODJ isn’t going to help you there. ODJ will only be useful if you need to join the remote client to the domain initially. i understand that Offline Domain Join won’t help, but wondered if there is any method to manually configure these clients to work with DirectAccess? Have you heard of anything that could be blocking DirectAccess from being setup on a client? 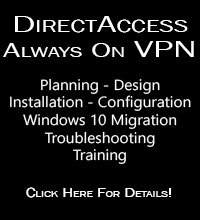 Outside of applying group policy there is no way to manually configure a DirectAccess client. I have a question regarding the DirectAccess provisioning in the script, has a line that I have a doubt / CertTemplate where meeting be information within the Windows Server 2012 R2? The name of my CA and casa-DC-CA. You can find the name of the certificate template by looking at the value of “Template Name” (not “Template Display Name”) on your CA server or by looking at the output of certutil.exe -store my. I ran the command as you told me, what this information Do I include below the command offline domain join? And what of the command include iinformação certificate, if possible make an example. You forgot the “-my” switch. 🙂 Try it again using certutil.exe -store my and let me know if you find it. I don’t think so, but I’m not certain about that. Failed to provision [test01] in the domain [domain.local]: 0x8007007f. djoin.exe again with the same machine name. If i leave out the /certtemplate option provisioning works fine. I can even get DirectAccess to work through a provisioned client, if I configure DA not to use certificate validation. I have tried with different templates, both custom templates (variations of the Worksattion Authentication template) and original templates (both Workstation Authentication and Computer template). I am aware of the difference between display name template name, and if I deliberately enter a false template name, I get a template error, and not the error described. 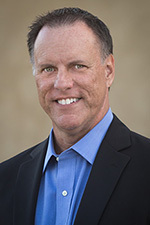 Access rights on all templates are set for Domain Computers to enroll. I’m assuming you are using the /REUSE switch, correct? You are right, you must use the certificate template name when specifying the template to use, not the template’s display name. If you’ve got that right, you should be good to go. Not sure why it wouldn’t work. if i take out /CERTTEMPLATE it works. Not sure what’s up there as that error code doesn’t seem to have anything to do with certificate provisioning. I can only suggest you look closely at permission on the template and make sure whoever is creating the offline domain join package has read and enroll permissions. That error seems to indicate a permissions issue of some sort. What specifically, I don’t know. I’ve had very few issues with offline domain join and I’ve never encountered this error myself. The only thing I can suggest is to ensure that the account you are using is a member of the domain administrators group and that you have read and enroll permissions at a minimum on the template you are using. Do you know if Offline Domain Join and AllwaysOnVPN can work together. We have various clients never come to office and we are able to setup with Offline Domain Join in DirectAccess. But I’m wondering how it can work with AlwaysOnVPN where we only have User Tunnels. You can certainly use offline domain join on Windows 10 Always On VPN clients, but the ODJ process doesn’t apply the VPN client settings like it does with DirectAccess client settings unfortunately. You’ll still need some mechanism to get the VPN client settings pushed to the client after joining the domain, such as Intune.